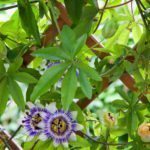 You can grow the passion flower vine (Passiflora spp.) 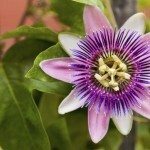 in the ground during normal spring and summer months or you can plant it in a container so you can take the Passiflora indoors during winter. Regardless of what you do, you might ask yourself, “Is it normal to drop leaves during winter months?” In fact, it is normal and is a sign that the plant is going into dormancy for the winter. Wintering a passion flower plant isn’t that difficult. In fact, passion flower winter care doesn’t require a lot of effort if you bring them indoors. Over wintering passion flower plants can be done in total dormancy by putting the plants in a dark, cool place. You can also keep some in a cool place to go dormant but let them have some light, or bringing the Passiflora indoors during winter months can simply mean a change of location, allowing them to continue to bloom as if nothing changed. Passion flower winter care can include regular watering and keeping them active throughout the season, or passion flower vine wintering can include a period of dormancy. If you allow the plant to go dormant, you will want to keep it in a dark, dry, cool place. It will lose its leaves over the winter months this way. Once in dormancy, water the passion vine about once a month. Passion flower vine winter care in a sunny location in your home includes turning the pots every few weeks so they get equal sunshine. You also want to provide humidity if you are going to bring your Passiflora indoors during winter because the air inside is much drier than outdoors. Misting and a good humidifier will definitely help. When springtime returns, you want to put them back outside, but you probably should not jump on it. You should acclimate it to slowly introduce the plant back to the sunlight. How Long Does it Take Before Berry Fruits? Once your passion flower vine winter care period is over with and you have replanted your plants outdoors, you may be asking yourself how long it takes before you see the fruits. 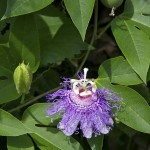 Your passion flower vine should flower by mid-June and you should see fruits by mid-July in most areas. Now you know that you can keep your passion flowers safe from winter damage by over wintering passion flowers inside, you can enjoy them even longer. They will go dormant, but will come out healthier, fuller and prettier in the end.